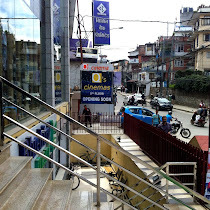 For movie lovers, this would be a good news that a new multiplex cinema hall called Q's Cinemas is under construction at the Rising Mall, Teendhara Marga opposite to Royal Singhi Hotel and next to the Civil Bank. 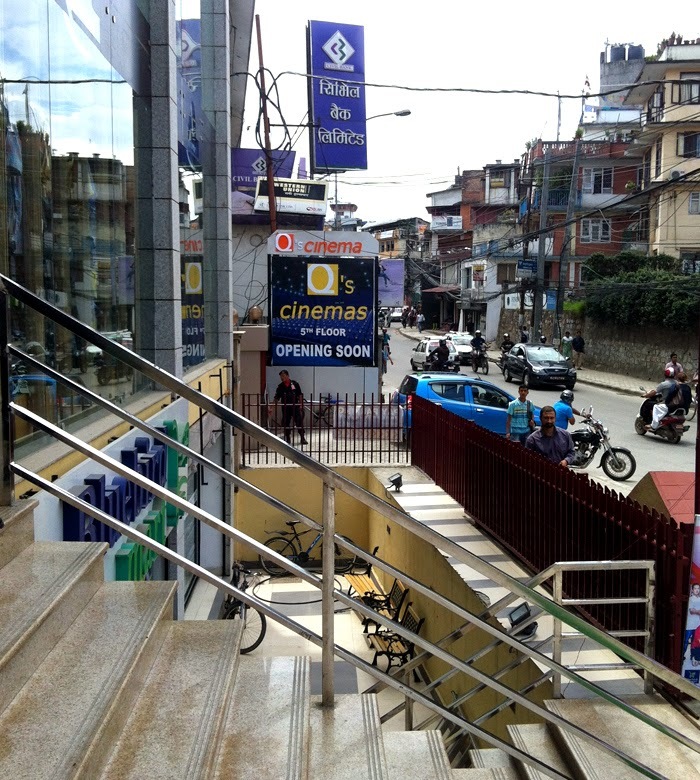 This hall is at the central location of Kathmandu near Durbar Marg and in proximity with the Jai Nepal Cinema hall. On this seven storied shopping complex, Q's cinema hall is located at the 5th Floor. 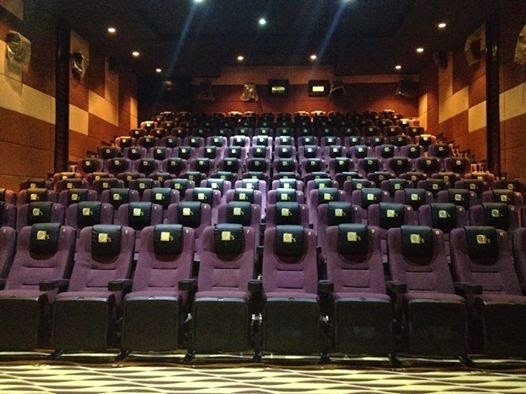 There are two theaters at Q's cinema hall, one with 168 seats standard quality which is named as Q's Audi and the other with 77 luxurious comfortable sofas named as Q's Premium. On the basement of Rising Mall, Blue Bird Mart is stationed where you can get groceries, cosmetics, liquors, clothings, utensils and more. On the first floor you can see "Being Human" store which is the center of attraction for Salman Khan's fans and lovers. All other branded clothes can be found at the ground floor to second floor. On the third floor, there is a Chinese restaurant named "Zhongguo Flavour Chinese restaurant". The Fourth Floor is taken by a bank and is booked for the corporate offices. 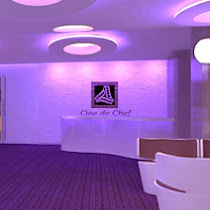 Fifth Floor will have 2 theaters. Location: Teendhara Marg, Opposite Royal Singhi Hotel. Note: The ticket price listed here are taken reference from the Official Website of Q's Cinemas qscinemas.com as of date 21st August 2014. Please visit the respective hall's website to confirm the ticket price.